The owners of Box Appliance are not your average appliance repair technicians. They’re not only brothers, sons and daughters, but they’re business-minded men that have kept Box Appliance thriving for the past 40 years. Lynn Box founded Box Appliance in San Diego in 1972. 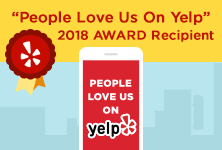 Two years later, he sold it to the Bergo family who have maintained Lynn’s high standard of quality appliance repair and professionalism throughout the generations. 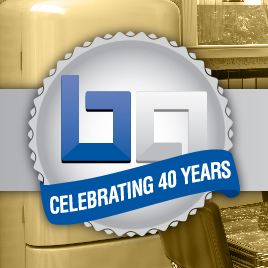 Sit down with Box Appliance owner Larry Bergo and celebrate the 40th anniversary of Box Appliance, learn more about their family and the how they have grown since 1974. Question: How has box changed since 1974 when the Bergo family bought it? Larry Bergo: Box Appliance hasn’t changed much besides the number of employees. We had 2-3 employees to start out and that number is now over 50. As for what we do and how we do things? That really hasn’t changed. Q: Who in the Bergo family works at Box Appliance? LB: Currently it is me, my brother Steve, my son, Ryan, my son-in-law Sam, Steve’s daughter, Sommer and Steve’s son-in-law Robert. Our parents retired in early 1991 when Steve and I became the sole owners. Q: How does the family dynamic positively affect Box Appliance? LB: More often then not, family owned businesses do not work. At Box Appliance, I think each family member taking on a different area of the business has helped us be successful. We share the same values that have been passed down from older generations, and our business continues to uphold those core values. Q: What is your hope for next generation of family owned? LB: I hope that they will be guided by doing the right thing for Sub-Zero and our customers while living within the standard of business that was handed down to me and Steve. Owning our own company gives you the opportunity to be your own boss and live your own life, but you do have to be accountable for self and it is something that is really worth having gone through. I have found that the old saying “it’s not about the destination, it’s about the journey” is true. Looking back, I hope that they too can appreciate their journey. Q: How did your family decide to purchase Box Appliance? LB: Our father was the one that decided to buy it. Lynn Box and my father retired from the Navy together and lived near each other when Lynn started Box Appliance out of his garage. In the mid-1970’s, he was ready to sell the business. Steve was working for Lynn at the time, training to be a technician while I was as an engineer. When they decided to lease their first commercial space I joined them so that I could be in business for myself. In the beginning we lived from week to week and took significant pay cuts, but we did what most families have to do to make a business work. Q: When did Box become a “premier partner?” of Sub-Zero? LB: Sub-Zero was one of our first warranty accounts and we have been with them since the 70’s. Box Appliance used to have a lot of microwave manufacturers as clients. Our largest client declared bankruptcy and almost took us with them! Sub-Zero has been the one partner that has endured all these years. Q: How do you honor the original standard for professionalism and quality appliance repair? LB: These really are our core values – we’ve always felt this way about customer service and doing the right thing for our customer and looking out for the manufacturers we represent. We pride ourselves on knowing what we’re doing and not cutting corners. It was never a conscious decision, it is just how we wanted to business with the core values that we have always had. Q: What is the process for hiring new technicians to ensure they are the best so you can confidently stand behind their work? LB: We do a background check and physical exams on all of our technicians. It is a challenge to hire good, qualified technicians and it is getting more and more difficult. We just do all we can to make sure we hire the right people that uphold our core values of quality and professionalism. Back in the day, we could only track technicians by phone calls. Every so often, Steve would disappear and we knew he was in the water, surfing. But don’t worry, we don’t let that happen anymore. Q: What is one of your favorite memories about Box Appliance? LB: Many memories have lead to my favorite memory – the success we have achieved in past couple years and our great relationship with Sub-Zero. After everything we have gone through, I am proud of what we have achieved and how our family has stepped up to grow the business and expand to the Bay Area. That was a very exciting period of time. Q: Any final thoughts or favorite stories? LB: Our father was in the Navy and travelled a lot. When he bought Box Appliance, the opportunity to join him and work with him was huge. Our family worked together, partied together, camped together and vacationed together – we made great memories that I will have forever. Also, Steve’s the only technician I’ve ever known who modified his service truck to hold his surfboards. It wasn’t uncommon for him to sneak off and catch a few waves in between appointments.